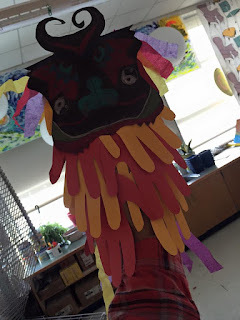 Miss Sulik's Art Space: 4th grade Chinese New Year dragons for the parade! 4th grade Chinese New Year dragons for the parade! 2nd grade stuffed paper hearts!